The Exorcist, Captain Howdy Sketch Test. Eileen Dietz RARE behind the scenes image!. 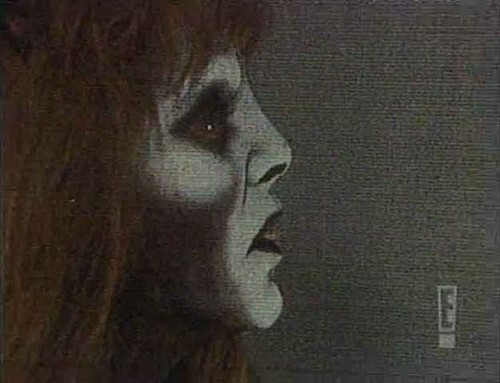 Wallpaper and background images in the The Exorcist club tagged: photo exorcist captainhowdy pazuzu demon makeup macabre. This The Exorcist photo might contain portrait, headshot, gros plan, and closeup.